I was interviewed about stadium shakedowns by John Miller of National Review Online (yes, you read that right) a week or so ago, and it’s now available online. I don’t remember what I said, so tune in and then tell me! 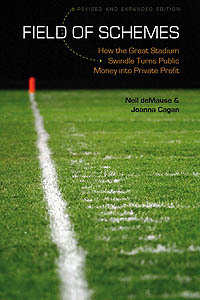 This entry was posted in Audio, Shameless Self-Promotion, Stadiums and Arenas by Neil deMause. Bookmark the permalink.